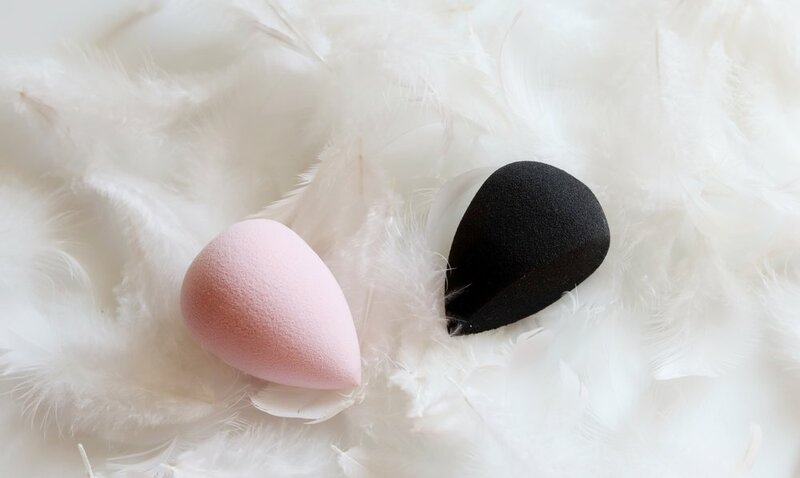 There are two types of sponges available: the pink tear drop-shaped one, and a black one with a flat angled side. Both of them are made of the same uber-soft material that expands about two times its size when wet. The material is kinda thin - less dense than a Beauty Blender - so you can squeeze the center with two fingers and almost feel your fingers touching. You’ll know what I mean when you try it. I personally prefer the black sponge more than the pink because of its flat side; it just makes the sponge much easier to maneuver around my face. The pink sponge is totally fine though, and I use both sponges interchangeably. I had to get used to this sponge texture as it’s my first time to experience it. Beauty Blenders are soft but keeps it shape well when wet; the Anna Cay sponges are kinda jiggly once you’ve activated them. It was strange at first! But after a few applications with my favorite foundations, I realized that this texture gives me a smoother, more natural foundation application and eats up a lot less makeup in the process. I also liked that the sponges are relatively easy to clean. I sometimes use dishwashing fluid, but most of the time I squirt some of my Riot Control Brush & Blender Cleanser since that one removes stubborn foundation faster. I did notice though that over time, the pink sponge has lost some of its color, so it’s now a much paler pink. Both the black and pink sponge can be easily nicked with fingernails due to the soft material so be careful with that as you wash them. Overall, I highly recommend the All Covered by Anna Cay Air Blender Sponges to anybody who’s looking for an affordable liquid foundation sponge. They give a nice natural finish to your look and works really well in blending out even the thickest foundation textures. At P288, that’s pretty much everything you can ask for and more! Right now they’re out of stock on their Shopee store, but you should definitely grab them once they’re available again. Have you tried this sponge? What do you think?